Donor retention is (or should be) an area of great concern to most nonprofits. The average year-to-year retention rate according to most studies hovers around 50%. That is, half of an organization’s donors stay with them—and half go away. Even if you are an organization that raises a lot of money each year, losing half of your supporters is daunting. The amount of work necessary to re-grow that base is enormous. The cost of acquiring a new donor has been calculated at anywhere from 5-7 times the cost of getting a follow-on gift from an existing donor. Sustainability is a term that is perhaps overused. And yet, it is vital to your mission that you be sustainable. When you are sustainable, you can meet your present needs without jeopardizing future ones. For most nonprofits that means that you must have the ability to ensure that you have a dependable source of funds coming in year after year after year. 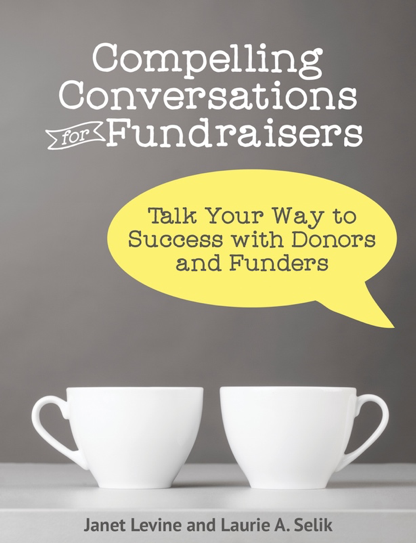 Fundraising is often broken down into prospecting, cultivating, soliciting and stewarding. And these are viable activities for any fundraising program. But it is important to recognize that rather than separate activities they are often two sides of the same coin. Inviting someone to tour your facilities or come to a seminar can be a cultivation effort as well as a stewardship activity. Indeed, it may be one way to prospect and odder things have happened than having someone visit your space and say, “Wow, how can I help you continue your work.” Suddenly, this is a solicitation visit! A truly sustainable fund development program is organic. It’s what you do as you work rather than something you have to fit into your workday. And because you are always taking care of existing donors, finding new prospects, using numerous ways to involve the in your organization, you will find that donor retention goes way up. Janet Levine coaches, trains and consults with nonprofit and educational organizations, helping them to increase their fundraising capacity. Find out more at http://janetlevineconsulting.com. This entry was posted in capacity, cultivation, development, donor centered fundraising, fundraising, prospecting, solicitations, stewardship and tagged cultivation, fundraising, sustainablity. Bookmark the permalink. This is one of those classic indicators of a well-functioning fundraising office- the rate of renewal can tell you whether someone is doing their job or doing something else. And too often, it’s the one measurement no one pays attention to!